Will tell you that car accidents are an unfortunate aspect of the learning curve for many teen drivers, who face a far higher risk than drivers in every other age group. Sadly, your teen failed to escape these concerning statistics. You’re relieved that your teenager is safe following a McKinney car accident, but upset about the damage to your car-and worried about your liability. Your concern is certainly understandable. Unfortunately, there is no clear rule to determine whether or not you’ll be deemed partially at fault for your teen’s driving catastrophe. Teenage drivers in Texas are technically held to the same standards as all other drivers. No matter their age, they’re going to get in trouble if they cause an accident. Depending on the role your teen played in the accident, you can expect insurance rate hikes and quite possibly, personal injury proceedings. Texas, like most states, allows for the concept of vicarious liability, which states that third parties can be held liable for injuries in select circumstances. Although vicarious liability typically applies to on-the-job accidents, it can also dictate the result of teen-based personal injury cases. It’s tough to know how your teen behaves behind the wheel. Unfortunately, if the injured party can at all indicate that you were aware of your teen’s problematic driving, you could be held liable. For example: if your teen received repeated speeding tickets and you continued to condone his or her driving, the other side may deem you partially responsible for the accident. This is especially likely if your teen was speeding at the time of the incident. You could also be held liable if you previously knew of your teen’s propensity for texting behind the wheel, driving while intoxicated, or running red lights. Pure knowledge isn’t enough, however; the behavior in question must clearly have caused the accident. Whether you or your teen was involved in a McKinney car accident, you deserve strong representation from an attorney who cares. 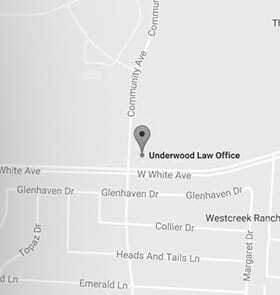 Call the Underwood Law Office at 972-535-6377 to learn more.